Written by Hugh Lashbrooke on November 24, 2015 Blog. At Woo, we take it for granted that developers know why they should attend their local WordCamp. For us, the benefits are clear and we find huge value in these events. However, this may not be as clear for everyone. If you’ve never attended a WordCamp before and you don’t really know why you should, then we’re here to change your mind. Here is why showing up at a WordCamp is one of the single most important things you can do for your career, life, and community as a WordPress developer. You might expect to go to a WordCamp or WordPress Meetup and only learn one new thing. But the reality is that you will learn so much from a single WordCamp that you may have trouble digesting every morsel and applying all of it to your work. … plus at least a dozen other topics that really made a huge impact on the way they do business and work with WordPress. And that’s just from a single WordCamp. If you have a gander at WordPress.tv you will see videos from WordCamps all over the world that teach you a myriad of different skills. While the actual content of each WordCamp is priceless, I would venture to say that the most valuable aspect of any WordCamp is the time you have to make connections with other WordPress users in your local community. Often known as the “hallway” track, the conversations that you have with the other attendees will result in new friendships, new skills learnt along the way and — perhaps most significantly — new career opportunities. One great example of this from my local Cape Town community concerns one individual who was unhappy in his job. He attended the local WordCamp, met and was subsequently employed by a local agency that was one of our main sponsors. I find stories like this one hugely inspiring and indicative of what can really be achieved through simple conversations in the hallways of a WordCamp venue. 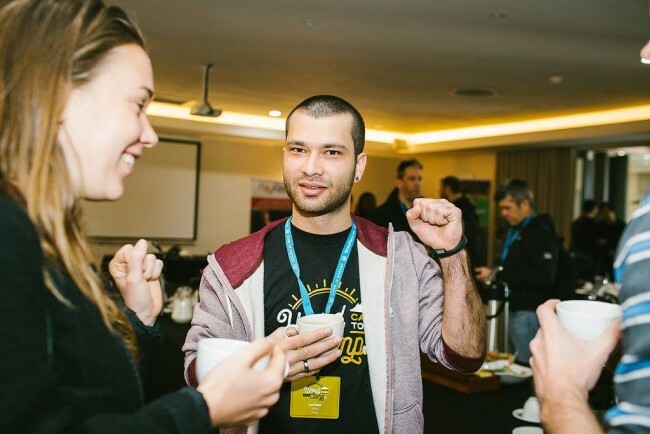 After attending WordCamp Cape Town 2015, Leo Gopal landed a great new job with local agency, Nona Creative. If you’re a freelancer or you run an agency and you’re in need of a few new clients, then attending your local WordCamp is one of the best decisions you can make. Many WordCamps have an open “job board” where you write up info about yourself and your availability, but a much more effective way of securing that perfect client is by talking to them directly. 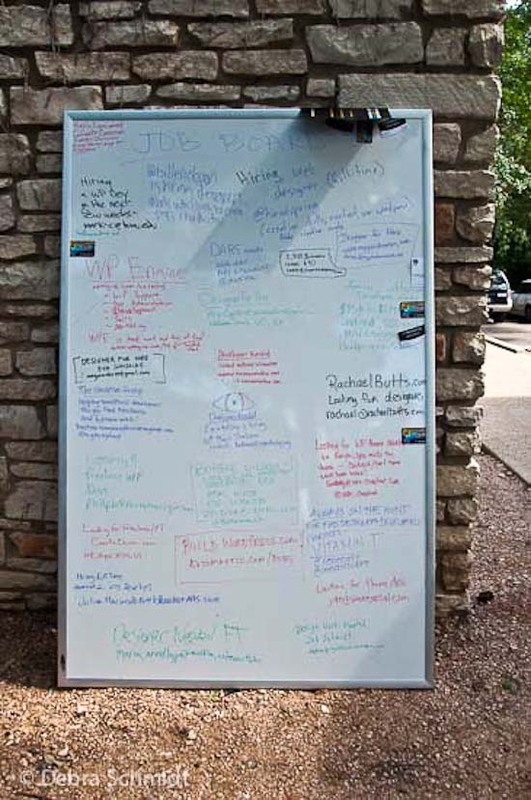 The job board from WordCamp Austin 2012. In any business, connections with your peers are hugely valuable, but this is even more true in the world of software development, especially in an open-source community like the WordPress one. For some time I worked at a small agency where I was the sole developer. While this gave me a certain amount of autonomy in decision making, it did make for a somewhat lonely working environment. What got me through that loneliness, however, was the network of connections I had from my interactions with other WordPress developers that I had met at WordCamps and Meetups. Having these folks available to chat to whenever I needed them was far more important to me than any autonomy I was given. Now, with the advent of the Making WordPress Slack channel, keeping these connections alive is even easier than ever before. 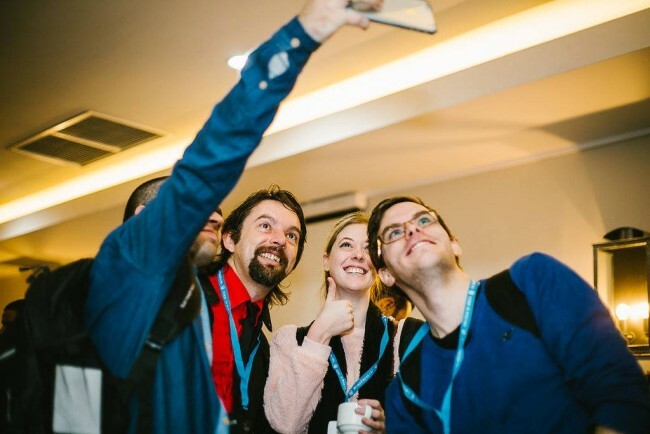 Taking a selfie together at WordCamp – is there any better way to solidify new friendships? Developing themes and plugins for WordPress is a lot of fun and a hugely educational experience, but if you learn about the WordPress core code itself then the products you build will be even more effective. Learning more about the WP_Query class or how WordPress’ various APIs work (for example) is not only interesting, but absolutely invaluable to your work as well. WordCamps are not just about what you can get out of them. Most will also have a Contributor Day attached to them, allowing you to give something back to the code you have now learned so much about. A Contributor Day is a day (or series of days) where your local WordPress community gets together and contributes back to the WordPress project. These contributions can be anything from translating text in the WordPress dashboard to contributing code directly to WordPress core. This process is exciting and always rewarding. Plus, you will get to work alongside people who you will have never met before, which is a great way to expand your coding horizons and make new connections. So what are you waiting for? Head on over to the WordCamp schedule and find one close to home! No WordCamp near you? Well, it’s easy to start one for your area. What other benefits do you see for developers who attend WordCamps? Or have you experienced any of these benefits yourself? Let us know in the comments. Is there a way to contact you by email? I am hoping to talk to you about a plugin you developed for Woo (Bar Code) and some customization I am looking to have (and pay for) for a client. ok, thanks. I have a request out. If we pull this off I think it will make the plugin much more powwerful. Will WooCommerce be interested in knowing about that? Very useful content. I am here for 4yrs but still learning. WP is not a small world.Need time for fully understand. Next month going to attend a developer conference in my city.